Yelp is one of today’s most popular online review sites, with the unique power to influence purchase decisions and consumer behavior. Founded in 2004, it has also become one of the top digital platforms for businesses looking to improve their online reputation, enhance their search engine visibility, engage with potential and existing customers, and drive more people to their business locations. Yelp monthly traffic. Yelp averages more than 178 million unique visitors every month, across its mobile, desktop, and app versions. Reviews generated. As of Q3 2018, Yelp users have contributed over 171 million reviews of almost every type of local business. The 5 most reviewed business categories are: shopping; restaurants; home and local services; beauty and fitness; and arts, entertainment, and events. Consumers often check Yelp. According to the 2018 Online Reviews Survey by ReviewTrackers, approximately 45 percent of consumers say they are likely to check reviews on Yelp before visiting a business. Yelp’s percentage is only second to Google (64 percent). Yelp ratings breakdown. 68 percent of the millions of reviews on Yelp are 4- and 5-star reviews. Approximately half of the reviews are rated with 5 stars, while 1 in 5 are rated with 4 stars. Only 16 percent of reviews on Yelp are one-star reviews. Contrary to what many might think, the review site is a platform for users who, in general, like to praise (instead of criticize) local businesses. Yelp’s impact on revenue. 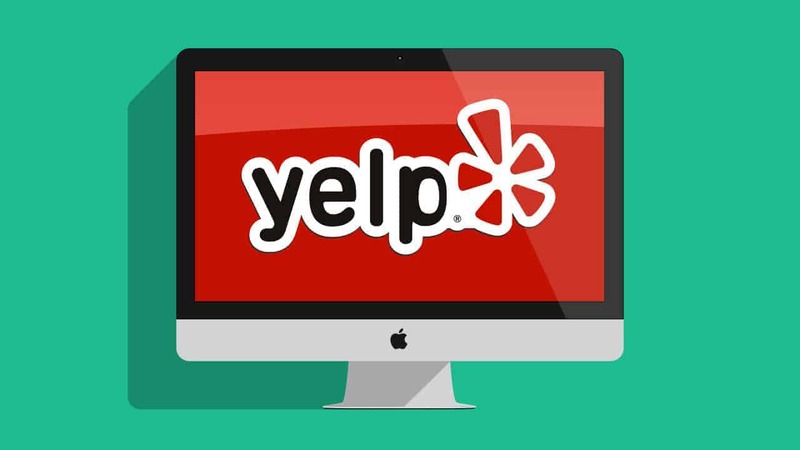 Findings from a Boston Consulting Group (BCG) study revealed that businesses with free Yelp accounts, which can be created and managed by claiming your business on Yelp or submitting a new listing, see an average of $8,000 in annual revenue from the site. Business owners spending advertising money on Yelp can enjoy even higher returns, in large part due to greater exposure. According to the study, Yelp advertisers generate average annual revenues from Yelp of more than $23,000. Another study, this time by UC Berkeley economists, found that on a scale of 1 to 5, a half-star rating increase on Yelp translates into a 19 percent greater likelihood that a restaurant’s seats will be full during peak dining times. For those who do not engage with the user community on Yelp, the results could be disastrous. According to a Harvard Business School study, a one-star decrease in a restaurant’s overall Yelp rating could lead to a 5 percent loss in revenue. Yelp reviews and ratings of restaurants could even determine if and when a badly performing restaurant could shut down. Researchers from the University of Maryland have developed a text-analysis tool that identifies linguistic patterns and predicts, with about 70 percent accuracy, which restaurants are bound to close within the next quarter based on what their Yelp reviews are saying. Claim your listing. Plant your flag and visit www.biz.yelp.com to take control of your Yelp business page. Add your info: Fill your page with relevant business information, including business name, category, phone number, address, operating hours, price range, and more. Add Yelp business photos: Did you know? Yelpers spend 2.5 times more time on Yelp business pages with photos. Go mobile: Track and respond to customer feedback on the go by downloading the Yelp for Business Owners app. Give gifts: Post Yelp Deals and Gift Certificates on your page to build brand buzz, drive sales, and attract new customers. Advertise: Improve your visibility and get found more easily by placing Yelp ads and utilizing Yelp Call-to-Action buttons. DO respond to reviews. Engage with customers by responding publicly to reviews or sending a private message on Yelp. DO say thank you. Show Yelpers that you value customer feedback, regardless of whether the review is positive or negative. DO promote your Yelp presence. Encourage people to check your business out on Yelp with badges, links to your page, and Yelp stickers. DO analyze your data. Gain actionable insights by analyzing customer feedback data — reviews, traffic, check-ins, textual information, etc. — generated by Yelp users. DON’T lose your cool. A bad review can hurt. But you can protect your brand reputation by responding politely and professionally to Yelpers and resolving customer experience issues. DON’T ask for reviews. Soliciting reviews could lead to filtered reviews and consumer alerts on your Yelp business page. DON’T fake your reviews. Yelp penalizes businesses that game the system and give themselves 5-star reviews. If you’re managing Yelp reviews of your business, don’t get too worked up over your one-star ratings. Instead, focus on the positive. Thank the customers who wrote positive reviews. Show customers that you value their feedback, and that your business appreciates those who share their positive experiences online. By thanking happy customers, you can also foster loyalty, reinforce product and service highlights, and drive higher levels of engagement. Share the positive reviews with your team. One great way to motivate your staff members is to let them know how much customers appreciate their hard work. 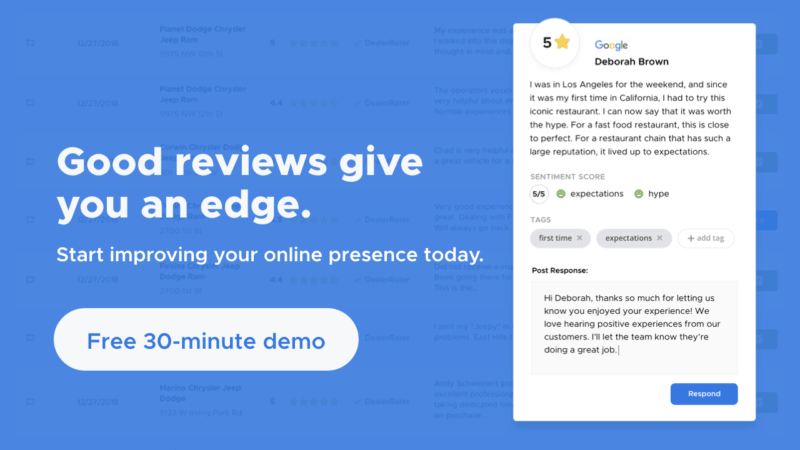 Sharing positive reviews is a great alternative to random inspiring quotes on a corkboard; it will also allow you to identify and reward customer-facing employees who make regular positive contributions to your team. Reinforce your strengths and improve on your weaknesses. The ability to track Yelp reviews and know what customers really think is essential in boosting your business performance. By analyzing and extracting insights from both your positive and negative reviews, you can determine the qualities that customers love the most about your business, as well as identify and improve on certain operational weaknesses. Always focus on the bright side, and remember that you can turn negative reviews into positive results. For more information and insights, don’t forget to check out our new ultimate guide to Yelp for Business. My biz had a solid 5 star rating with a historic high of 77 visible reviews. Yelp has been hounding me to pay for advertising. I have declined. Now yelp has reduced my revenues to 58 and I have a 4.5 star rating. They have removed 5 star reviews to the “not currently recommended ” section, but not one negative to the “not recommended ” section. I feel I am being extorted. These stats don’t guarantee Yelp success. But we hope they quell some of the hesitations you may have around incorporating Yelp in your business this coming year. You stand a far better chance at getting positive reviews and recommendations. Fear of bad reviews or negative ratings shouldn’t scare you off, nor should thinking it’s only a place for restaurants and foodies.